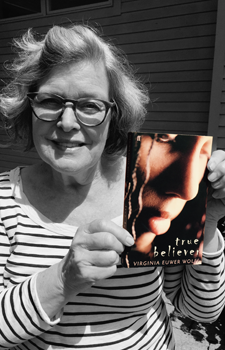 True Believer (Atheneum Books for Young Readers, 2001) is recommended for ages 12 and up. Be sure to check out Staples’ novel Under the Persmimmon Tree (Farrar, Straus & Giroux, 2005). If you are on Facebook, find Suzanne Fisher Staples at Facebook.com/SuzanneFisherStaplesAuthor.